Although he probably didn’t realize it until later, among the various benefits that Oxford’s rank bestowed upon him, not least was having had for his primary tutor (realistically, his surrogate father) the great English humanist, Sir Thomas Smith. Strangely ignored by 20th-century historians, Smith would have needed no introduction to his contemporaries, or in fact, English history up to the end of the 19th century. Luckily he’s had two excellent biographers who’ve prevented his total disappearance: John Strype, whose late 17th-century biography testifies with authority to Smith’s reputation in his own time, and Mary Dewar, whose 1964 biography provides a lively portrait of this once extremely important man. Lavishly praised in his own time as the shining light of Cambridge University, author of some of the most important policy papers of the Tudor era, Smith was a major force in the English Reformation. As Principal Secretary to both of the first two Reformation monarchs, Edward VI (1548-49) and Queen Elizabeth (1572-76), and with several tours of duty as Ambassador to France, he had an important career in government service as well. Strype informs us that Smith “bore a great part, both in the University, the Church and in the Commonwealth . . . the best scholar in his time, a most admirable orator, linguist and moralist . . . an ingenious poet, an excellent speaker, of exquisite skill in the Civil Law, in Astronomy, in natural philosophy and Physic [Medicine, and] in Divinity” (1, 157). Appointed Greek Orator in 1533 at age 20, he was succeeded first by his friend and colleague John Cheke, then by Roger Ascham, the former known to history as tutor to King Edward, the latter as tutor to Queen Elizabeth. As tutor to Shakespeare, Smith not only equals his two better-remembered colleagues, he goes well beyond them, just as he did in importance during life. [He was an] excellent Linguist and a Master in the knowledge of the Latin, Greek, French and Italian tongues. [He excelled in Roman History, and was] very curious and exact [in the art of gardening]. (27, 211, 218). It’s fair to assume that during the eight years they spent together, a man of Smith’s nature would have passed on to his young charge some of his enthusiasm for these subjects. In fact, from what we know of Smith and his enthusiasms, he could not have stopped himself even had he wished to––and why would he wish to? Smith’s medical learning, based on Paracelsus (1493-1541), was not yet accepted by a society still dependent on Galen, the ancient Greek authority, and while Astrology was considered suspect by some, most saw it as almost a necessity in steering their way through an uncertain world. Yet Smith does not appear to have matriculated as a sizar, the normal route for a good student from a poor family. Dewar suggests that “some influential friend must have realized that the boy was not the type to follow his elder brother into sheep farming” (12). That Smith had a benefactor whom he never mentioned would have been unusual in that age of fulsome expressions of gratitude for patronage (his first patron may have acted anonymously for some reason). He did express his gratitude to the man who made it possible for him to continue at Cambridge when he lost his original source of funding, Dr. William Butts, personal physician to Henry VIII, who convinced the King to give both Smith and John Cheke royal scholarships. Smith’s rise, mostly due to his native brilliance, was partly due to luck, for he entered Cambridge University at an exceptional moment in the history of English education. At both universities, the liberal spirit of Humanism, planted earlier by Vives, Bucer, Erasmus, More, and Redman, was just then bursting into full flower––“that fairest spring of learning,” as Roger Ascham would refer to it. Dubbed “the New Learning,” Renaissance humanism had finally made its way to English shores, and it would be Smith’s lucky task to cull the fruits produced by that first flowering at Cambridge. Smith’s college, Queens’, was a leader in the thinking promoted by Erasmus, who had studied and taught there during his sojourn in England earlier in the century. Later Walter Haddon would write of Smith that he infused life into every branch of study in the University and “like St. Paul” had been “all things to all men” (Dewar 14). At Cambridge, Smith attracted a circle of colleagues and students of the highest calibre, young men who would raise the standards of accomplishment in English statecraft, church organization, jurisprudence, literature and education to new heights. Smith’s colleagues included Sir John Cheke and Sir Anthony Cooke, tutors to King Edward VI, (Cooke was father to Francis Bacon’s mother and William Cecil’s wife), Roger Ascham, tutor to Queen Elizabeth, and Matthew Parker, Elizabeth’s Archbishop of Canterbury. Of all of these, Smith was clearly considered the cream of the crop. Writes Dewar, when Smith resigned the Civil Law chair “it was mourned that no university had ever suffered greater loss” (14). 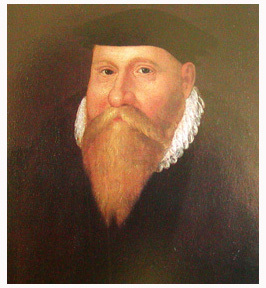 Smith’s students included Walter Haddon, translator of the Book of Common Prayer into Latin, Richard Eden, translator of Peter Martyr’s Decades, and most important to English history, William Cecil, Elizabeth’s leading minister of State for 40 years. Later in life, Ascham would write: “all the younger generation following him at Cambridge would be forever in Smith’s debt for his learning, diligence and fine example” (Clarke 14). His own tutors had been the reformer John Taylor, later Bishop of Lincoln, and John Redman, whose was once the great Erasmus himself. By age 27 Smith had risen to the prestigious post of Vice-Chancellor of the University where he was strenuous in his efforts to increase accountability without neglecting such details as the gardens at Queens. 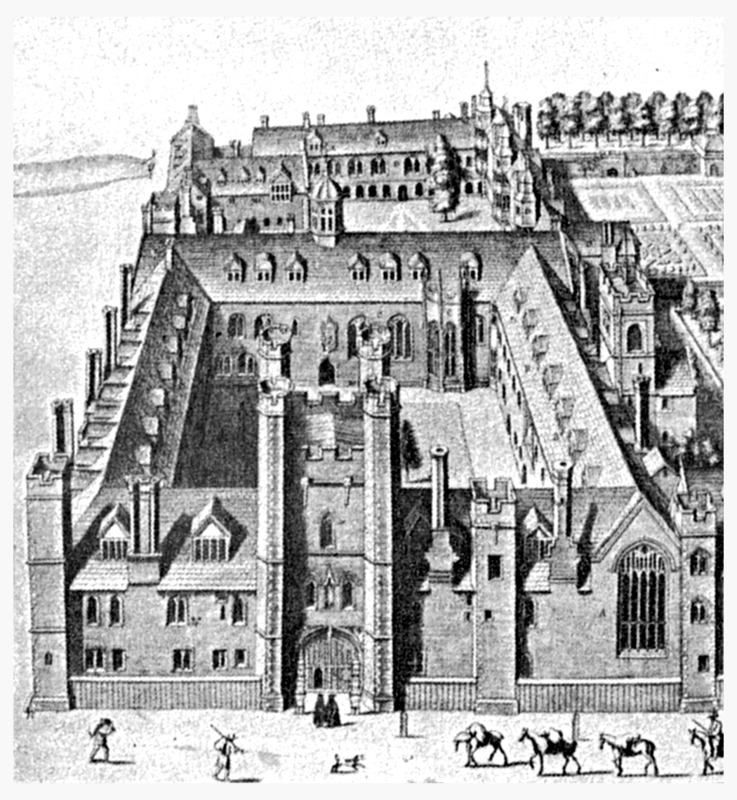 Before January 1544 there had been no rule that students had to be registered and matriculated; it was Smith who brought about this needed reform. He and his colleague John Cheke were credited with saving the university from devastation when the greedy old King was eyeing it as next on his list of succulent victims. Yet renowned though he was for his oratory and teaching of Greek, it would be his status as the first Regius Professor of Civil Law that brought Smith his Court career as a statesman and diplomat. From May 1540 to January 1542, he travelled through France and Italy, lecturing at Paris and studying at Padua (21-22), the premiere Law school of Europe. Despite the fact that he spent only a year and a half in Padua, once back in England he managed to instill respect for his grasp of legal matters through the sheer brilliance of his lectures, frequently attested to in documents of the period to be the most popular at the university during his time (13). It was in the purely masculine arena of the lecture rooms, the cheery murmur of the dining halls, the intellectual discussions during walks through the open fields and flowering gardens that surrounded what were still only a handful of colleges and halls, that Smith was always most comfortable [engraving of Queens]. But to be in on the ground floor of the establishment of the Reformation as state policy, the first nation in Europe to do so, was an opportunity not to be missed. And so, when politics beckoned, with all the opportunities it offered for putting his theories of government to the test and, not least, personal material gain, one could hardly expect that the farmer’s son would turn aside. What particular qualities took Smith to Court? Certainly his knowledge of Civil Law had something to do with it, but primarily it was his broad grasp of Reformation issues, philosophical and religious as well as legal (as revealed by the titles in his library), and his status as a leader of the Cambridge intellectuals already at Court, John Cheke, Roger Ascham, and Sir Anthony Cooke, brought in earlier by Queen Catherine Parr to educate the royal children. Within a month of his arrival at Court (Feb. 1547), Smith was raised to the office of Clerk of the Privy Council. By the following March he was Master of Requests to the real ruler, the King’s uncle, the Duke of Somerset, and the month after that, Second Secretary to the young King himself. Throughout 1548 and ’49 Smith’s family continued to benefit from their fortunate member’s meteoric rise. In August 1549, his father, John Smith, and their family friend, William Strachey, bought land in and around his home town of Saffron Walden and set themselves up as gentlemen (35). What seems forgotten by historians today is that Smith, as renowned for his writing style and oratorical skills as for his legal knowledge and vast education, was the Crown’s designated point man on moving the nation from a Catholic to a Protestant religious service. Whether he was in line for this from the start or became the obvious choice later isn’t clear. In fact, there’s a great deal about this maneuver, engineered by Archbishop Thomas Cranmer, that isn’t clear, no doubt due to the delicate issues involved in converting a long-time Catholic nation to Protestantism. Not only was Cranmer faced on one side by a herd of Catholic bishops, most of whom were anything but enthusiastic about making what they saw as radical changes in both the traditional religious church service and their lifestyle as required by the Reformation, he was faced on the other by an even more vocal and tough-minded group, his fellow reformers, who each had different but very firm ideas about the changes that had to be made to the Service. Caught in the middle, it seems evident that Cranmer, burdened with all the duties of his role as Archbishop, looked to Smith to find a way through the chaos of this revolution, for that’s what, in fact, it was, and not nearly so “bloodless” as some historians would have us believe. But she too seems blind to the reality he was facing. These “sections of religious opinion” were at war with each other, and since it was largely Smith’s job to bring them into line on the issues that separated them (chiefly the nature of communion, though vestments and alter furnishings were a close second), naturally he drew fire from both sides. Nor do I interpret his actions as arrogant or overbearing. Where there’s a contemporary account––like defending himself against Bishop Bonner or protecting old friends like Mary’s Catholic minister, Stephen Gardiner, it seems to me he’s to be commended for his restraint as well as his courage. The true measure of Smith’s worth is how quickly and securely he accomplished what another man would have failed to do. That within two short years he got the Book of Common Prayer, the rubric for the new Service, written, published, and voted into law by Parliament, all before the coup of 1549 took him down, is a thing that really should be acknowledged by English history. Of course he didn’t do it all by himself, but that, as Principal Secretary, acting under orders from Somerset and Cranmer, he was the moving force should be clear and raises the question, why does history ignore it? Seven years Smith’s junior, lacking his tutor’s Cambridge reputation and his oratorical and writing skills, William Cecil continued to act as Smith’s backup until October 1549 when Somerset, like Humpty Dumpty, had his great fall, and took Smith down with him. At which point Cecil, demonstrating the kind of political acumen that his old tutor so sorely lacked, took over Smith’s post as Secretary under the new Lord Protector, John Dudley, Earl of Warwick (soon to be Duke of Northumberland). From that moment on and for the rest of Smith’s life, it would be the tutor who would have to apply to his former student for office. History tells us that, during the summer of 1549, Smith was banished by Somerset for daring to urge the revaluation of the debased currency, which Smith averred and modern historians agree, was chiefly responsible for the inflation that was causing the rebellions that summer. But although we see no record of it, Smith may also have opposed the Protector’s efforts to take over the Oxford earldom. Smith was, after all, an Essex man, whose family had looked to the Oxford earls as their lords for centuries, while Somerset was an ariviste, only in the top tier since raised by Henry for having produced an heir. It’s difficult to see the outspoken Smith as quiescent during Somerset’s attempt to steal his magnate’s patrimony. A stiff-necked man; “high in th’instep” as Smith is referred to in a contemporary letter, for him the period during which he and his former pupil were reversing roles must have gone hard. Nor was Cecil able to give his old tutor much help in getting back into office even had he wished to. Following the death of King Edward in 1553 and Warwick/Northumberland’s subsequent fall from power, for the five years of the Marian reign, Cecil himself could do little but tread water. On the other hand, as one of the more astute politicians of all time, he may also have wished to give his former superior time to accept the realities of their new relationship. Smith’s hard luck had a silver lining. While working for Somerset he had been awarded two important posts, the Deanery of Carlisle and the Provostship of Eton. This last gave him something to keep him busy during the final years of Edward’s reign when he was out of commission and living nearby at Ankerwycke. At Eton he modernized procedures, maintained a strict oversight of finances and, again––as always––created gardens. When forced by the Marian regime to give up his post, he was recompensed with an unusually large annuity (£100), followed some months later by a lucrative marriage to the widow of Sir John Hampden, the son of one of Edward’s ladies-in-waiting. the horrific burnings of “heretics,” . . . his diaries of 1555 through 1557 record little besides “thunderstorms, strange astrological events and menacing “signs.” . . . Once more a nervous passion for astrology swept over him, leaving him sleepless, absorbed, and a prey to depression” (78). Keeping in mind that the record is still extremely sparse, the only break we know of in de Vere’s eight years with Smith was the five-month period he spent at Cambridge while his tutor, the former Secretary of State, prepared for the nation’s transition from Catholic Mary to Protestant Elizabeth. That de Vere was enrolled at Queen’s College suggests it was Smith who arranged for him to be based at his own alma mater. Doubtless through the efforts of William Cecil, who bore the primary responsibility for preparing for Elizabeth’s accession, Smith met that December with several “grave and apt men . . . at Sir Thomas’s house, which then was in Cannon Row; where was laid in a sufficient quantity of wood, coals and drink for their use” (Strype 57), and where it was their purpose to plan the second phase of the English Reformation through what’s known as “the Elizbethan Settlement,” including a possible third revision of The Book of Common Prayer. The meeting took place at a house Smith had purchased early in his years as Secretary to King Edward, located on Cannon Row, halfway between Whitehall and Somerset House. [map] Smith also worked with Cecil, the soon-to-be Lord Keeper Nicholas Bacon (Cecil’s brother-in-law), and others, to prepare for Elizabeth’s first Parliament. Yet despite such efforts his rewards were minimal. Following Elizabeth’s coronation in January he returned to Essex a mere JP, his primary task: to administer the oath of fidelity to the local magistrates, and review what there was in the way of local militias, should Spain attack. By this time his household would have been established at Hill Hall (Drury 260), where de Vere probably returned in March or April, Smith returning at some point following the closing of Parliament. In June he was took on a variety of duties assigned him by the Queen, in which he worked with the16th Earl, among them seeing to it that the local musters were prepared to respond to an emergency if needed, that new rules for preparedness were adhered to, that the recently approved Elizabethan version of the BCP (Book of Common Prayer) was put into the hands of Essex curates, and that preachers adhered to the reformed service. As JP he was also given the power to arrest and try “all who broke the law” (Strype 58). Surely the break in their relations had something to do with Smith’s authorship in 1561 of the popular tract, A Dialogue on the Queen’s Marriage, in which he encouraged Elizabeth to marry the Earl of Leicester. Discouraged by Cecil’s failure to get him a post at Court, Smith may have hoped that, by promoting Leicester’s interest, he might get the help from Leicester that he wasn’t getting from Cecil, but if that was his purpose it did not succeed in doing anything but infuriate Cecil, at least, not immediately. Despite constant pressure, both from Smith and from Nicholas Throckmorton, Ambassador to France, who continued to beg him to have Smith sent over to help him explain the Elizabethan Settlement to the French, Master Secretary continued to stall. Then in September of 1562 came the message that Smith had been waiting for. That his appointment as Ambassador to France came immediately following the death of Earl John suggests that his role as de Vere’s tutor was a––possibly the––primary factor in delaying his appointment to government office. If not, the coincidence in timing is remarkable. Thus ended, abruptly, de Vere’s childhood years with Sir Thomas Smith. Smith would spend the next three-and-a-half years away from home. Although it wasn’t what he wanted––i.e., a seat on the Privy Council that would allow him to continue to live and build in Essex––it was a start. After all, France was importrant, while diplomacy was the career that his education in Continental Law had trained him for. And France had much to offer. It wasn’t the English Court, but it was the next best thing. Yet following his return in 1566 he was once again allowed to rusticate in the country for five years before he was tapped for a second embassy to France. This time he was more successful, which may be why, on his return, he took over as Secretary of State while Cecil, now Lord Burghley, moved over to head the Treasury Department. Before being allowed to take office, however, Smith was required to assist with a thoroughly unpleasant task: an inquiry into the possible conspiracy by leading Catholics to marry Thomas Howard, Duke of Norfolk, to Mary Queen of Scots. It was a common pattern that, before being given a seat on the Privy Council, a man must take on and complete some unpleasant task for the government, a test not only of his ability but also of his willingness to do the necessary dirty work of office. (Similarly in 1569 , before being taken on as Second Secretary, Walsingham would be required to assist with the sting that netted the Ridolfi conspirators.) Smith and Thomas Wilson, Master of Requests, were forced to question Mary’s agents until they got the information Cecil was seeking. When questioning didn’t go far enough, they were (despite their protests) forced (by Elizabeth) to resort to torture. Smith can’t have enjoyed this task, but time and durance had convinced him should he ever again get a Court position he would have to do whatever it took to keep it. According to Dewar, he came to the conclusion that “if he managed to return to public life he must hang onto office with all the discretion, caution, and care that he could muster” (122). No doubt he comforted himself with the knowledge that the Duke was an utter fool for getting involved in such a scheme. How Oxford may have felt about his tutor’s role in his cousin’s downfall is anyone’s guess. (Norfolk was the son of his Aunt Frances, his father’s sister.) In any case, Cecil was pleased, the Queen herself was pleased for once, and the nobility were given dire warning not to mess around with Catholic plots, the Queen of Scots, or the succession to the throne. It was during this final stint at Court (1572-75) that the Queen gave Smith the authority to create a Protestant colony on the Ards peninsula in Northern Ireland. Smith threw himself into an elaborate set of plans including detailed rules for the government of his colony, plans that today are lauded as the pattern that would be followed in years to come by promoters of British colonization in the New World. Smith was one of the first to use the word colony as a practical term, the first to use the term Great Britain for the Island as a whole, and the first to refer to it as an empire (Armitage 50-1). Too old and too busy as First Secretary to act as its leader himself, Smith put his natural son Thomas in charge of carrying out his plans. Thomas, alas, wasn’t up to the challenge of dealing with the Irish, who, understandably, were not enthusiastic about Smith’s plans. When the young man was murdered by an angry Irish kern in April 1572, it took the wind out of the old man’s sails. Four years later he succumbed to throat cancer. Having retired from Court in March of 1576, he died the following year at Hill Hall. For the previous three years he had shared the office of Principal Secretary with Francis Walsingham, who became his close personal friend (181). Besides Cecil and Walsingham, among Smith’s closest friends in his later years were his old colleague from the days of Edward VI, John Thynne of Longleat, the courtiers Sir James Croft and Sir Thomas Heneage, and the explorer Sir Humphrey Gilbert. Modern history has neglected Sir Thomas Smith. When through the passage of time the inevitable need arises to condense the past to make room for more recent history, it’s been his great misfortune to get eliminated. This has happened, partly because he spent so many years out of office, partly because so much of what he wrote was in the form of policy papers not intended for publication and so lacking his signature, and partly because he often worked with other men who, for various reasons, not all of them clear, have, over time, acquired sole custody of their shared efforts. Even so, it should be noted, as with other cases of peculiar forgetfulness on the part of historians, that this didn’t begin to occur until after 1920, when J.T. Looney brought forth Smith’s surrogate son, Edward de Vere, as a candidate for authorship of the Shakespeare canon. Smith has been persistently ignored by historians ever since, most notably by Conyers Read who, in his detailed biographies of both William Cecil and Francis Walsingham, effectively eliminates Smith, even from incidents where he played a central role. As a result, Smith’s efforts to establish Greek at Cambridge are often attributed to his colleague John Cheke; in a list of principal secretaries during Elizabeth’s reign he’s usually replaced by Walsingham; and although he held high office under King Edward before Cecil, he either gets placed after Cecil, when it’s clear that it was Cecil who followed him, or he gets left out altogether. His contributions to Hollinshed’s Chronicles are attributed solely to William Harrison. His authorship of the Discourse of the Commonweal is attributed to John Hales. Most distressing is how his involvement in the production of the Book of Common Prayer has been written out of what was once its clear place in that most important piece of English history. The fact remains that Sir Thomas Smith either wrote, or helped to write, some of the most important works of the English Reformation, much of it while his pupil, Edward de Vere, stood by, watching, listening, absorbing, and imitating. For Oxford’s studies at Cecil House, read Laurence Nowell and Beowulf.